"When superior intellect and a psychopathic temperament coalesce…in the same individual, we have the best possible conditions for the kind of effective genius that gets into the biographical dictionaries." Jim Fallon (not to be confused with Jimmy Fallon of “The Tonight Show”) is a neuroscientist at UC Irvine. In the mid-aughts, he was researching the brains of serial killers. In analyzing thousands of serial killers’ PET scans, Fallon came to notice a common anatomical pattern in those with psychopathic tendencies. They showed low activity in certain areas of the frontal and temporal lobes of the brain, which are linked to empathy, morality and self-control. Meanwhile, Fallon had also been studying the brains of Alzheimer’s patients. His wife’s family had a long history of the disease. So they decided to scan the brains of several of their family members, including their own brains. One day, Fallon was sifting through the Alzheimer’s scans of his family members, and at the bottom of the pile, he found a scan that showed the neurological activity of a psychopath. At first he assumed a scan from the serial killer study had gotten mixed in with the wrong pile. But the scan’s coding—as these were blind studies—showed it was, in fact, in the right pile. Stunned, he had to break the rules (hint hint) to find out who in his family was a psychopath. To his great shock, the scan was his own brain! In the image below, the control shows a non-psychopath brain. 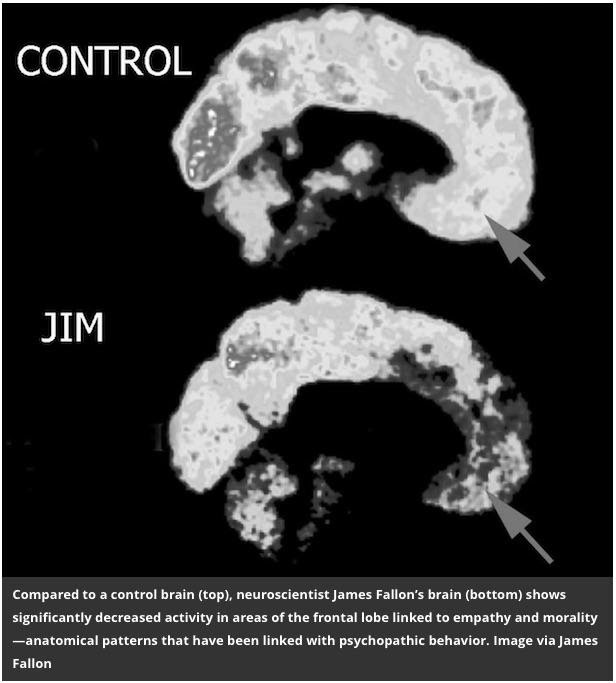 Jim's scan shows decreased activity in the areas of the brain linked to empathy and morality, suggesting psychopathic pathology. We tend to think of psychopaths as the Lizzie Bordens and Charles Mansons of the world. And while they are psychopathic, their pathologies likely don’t stop there. Formally, psychopathy is a general term that indicates a “personality disorder characterized by deceitfulness, manipulation, grandiosity, lack of empathy or guilt, and often aggressive or violent behavior. It is sometimes considered a subset of antisocial personality disorder.” People who suffer from antisocial personality disorders and are driven to violent acts are often psychopaths. But psychopaths are not always violent. They are also neither delusional nor psychotic (which is being in a state of psychosis, a symptom or feature of mental illness). There are plenty out there like Jim Fallon, who are what he calls “pro-social” psychopaths—high-functioning psychopaths, living “normal” lives, successful, but perhaps a bit unpleasant to engage in any sort of relationship with. (“I’m obnoxiously competitive,” Fallon told Salon. “I won’t let my grandchildren win games…I do jerky things that piss people off.”) You might recognize these pro-social psychopaths by their lack of remorse or empathy, superficial charm, calculating and manipulating tendencies to fulfill their agendas, grandiose self-perception, or refusal to take responsibility for their actions. In fact, you probably know one or two pro-social psychopaths. If you work in business or politics, you probably know even more. It’s estimated that one percent of the general population is psychopathic. That number creeps up a bit, to three or four percent, if you’re counting psychopaths in the executive suite or walking the halls of Congress. And when you consider that psychopathy is a spectrum—the degree to which one exhibits of a set of characteristics—well then who knows…might we all be a bit psychopathic? In the past few years, several books (here, here, here and here, to name some) have come out on the topic of psychopathy. Specifically on the idea that psychopaths don’t only walk among us, but they also often have skills that allow them to achieve enormous success. Psychopaths are particularly cool under pressure. They tend to be unbothered by anxiety or depression. They’re highly competitive and fearless, and people often have positive first impressions of them. In absolute terms, these sound like advantageous qualities for those in high-power, high-stakes positions. This is not to diminish the many ways that even pro-social psychopaths can be destructive and abusive. Anyone who’s ever worked with or been in a relationship with one knows this all too well. It’s simply to say that psychopathic tendencies might make one poised for effectiveness under certain high-stress circumstances. Apropos of election season, this idea seems to warrant a closer look. Or if nothing else, it sheds light on the behaviors and motivations of many of those on our electoral ballots. Kevin Dutton, author of The Wisdom of Psychopaths: What Saints, Spies, and Serial Killers Can Teach Us About Success, created a handy psychopath quiz that you can take in mere minutes to learn your psychopath score. Don’t be scared (and if you are, that’s probably a sign you aren’t a psychopath! ); the ambitious are likely to rank up there. And the company near the top isn’t all bad—Charles Dickens and Winston Churchill, for example. (Ok, Hitler, too, but his pathologies were many.) Dutton also created a game that reveals the psychopath scores of well-known figures from history. Empathy is one of the most important emotions a person can exhibit, particularly in personal relationships. But it’s worth asking: can it ever be a drawback, a hindrance? Can a fundamental lack of empathy and a tendency towards psychopathy ever be an advantage? That’s what we’ll explore in A Closer Look in this month’s TLV. First quarter GDP just came in at 0.5% growth, well below the 2% anemic threshold that our economy has been stuck at since the 08/09 recession. Now the pundits are swearing this first quarter was nothing more than an anomaly. Growth will return to much higher levels, they say. Of course the majority of these prognosticators are Wall Street and government economists. Each has a stake in growth improving. Wall Street wants us all to invest more money so they can make more commissions. Government, of course, wants us to believe they are doing a great job managing the country. Over the last two decades, the Japanese have experienced a roller coaster ride between anemic growth and recession. Each time recession shows up, they prime the pump with fiscal and/or monetary stimulus. And each time, some growth does return, but at lower and lower levels. Why is this happening, and why should we expect something similar? The biggest answer is that the worm is turning on values. More and more people are realizing that partying like it’s 1999 only ends in a hangover. Savings is starting to become more popular than consumption. About a decade ago, everyone wanted to brag about the expensive house, car or fashion item they owned. A decade from now, the best brag is going to be how much money you have in your savings account. Frugal is becoming the new cool. This, unfortunately, is not positive for an economy where consumption represents something like 70% of GDP. This change in values is happening for two main reasons. The first is demographics. The Baby Boomers—that pig in the snake—are rapidly moving into retirement. And, as data suggests, they’re doing so without having anywhere near the savings they need for it. The second influence is from our last two dramatic recessions in 01/02 and then 08/09. These recessions, and the actual and very anemic growth after each, are likely turning more and more people economically conservative. As I like to suggest, the only way one gains depression-era values is by actually living through a depression. No market is static. Every market has its ups and downs. Every market exists in a constant state of change. The mean is calculated from numbers on both sides of it. With this in mind, where is today’s employment? Official employment growth has been considerable since the last recession. At the recessionary peak in 2009, unemployment hit 10%. About seven years later, according to the Bureau of Labor Statistics, unemployment sits around 5%. Woohoo, say all our economic cheerleaders, especially the government folk who want us to believe they’re doing a great job. Several contrarian pundits will point out that a disproportionate share of job growth has come from lower-paying jobs. We’re now also seeing much more data and reporting about a new employment sector, “the gig economy,” where people don’t have a permanent job, but instead go from project to project, from Uber fare to Uber fare. Unconcerned by the potential fragility of the gig economy or its effect on individual cash flow, the BLS counts these workers as employed. No matter the actual make up of employment, our current unemployment rate of 5% is close to the most recent low of 4.6% in 2006. And since no market remains still for long, the prospect that unemployment will grow again only seems reasonable. The only constant is change. It’s a whole lot easier to be a joiner than a thinker. Thinking for one’s self takes far more effort than repeating the latest conventional wisdom…as if wisdom was ever conventional. This is probably why humans are so frequently compared to lemmings in sociological, political and economic circles. And besides, who wants to be an outsider? It’s more emotionally and intellectually comfortable to fit in rather than to try to swim against the tide. Challenge, though, surfaces when too many lemmings decide the case is closed on some perspective of consequence. It’s at that point where the risk grows that everyone will be proven wrong. The world was not flat. Bloodlettings and leaches did not cure disease. The next time you run across someone with an outside-the-mean opinion, it could be worth some pondering. 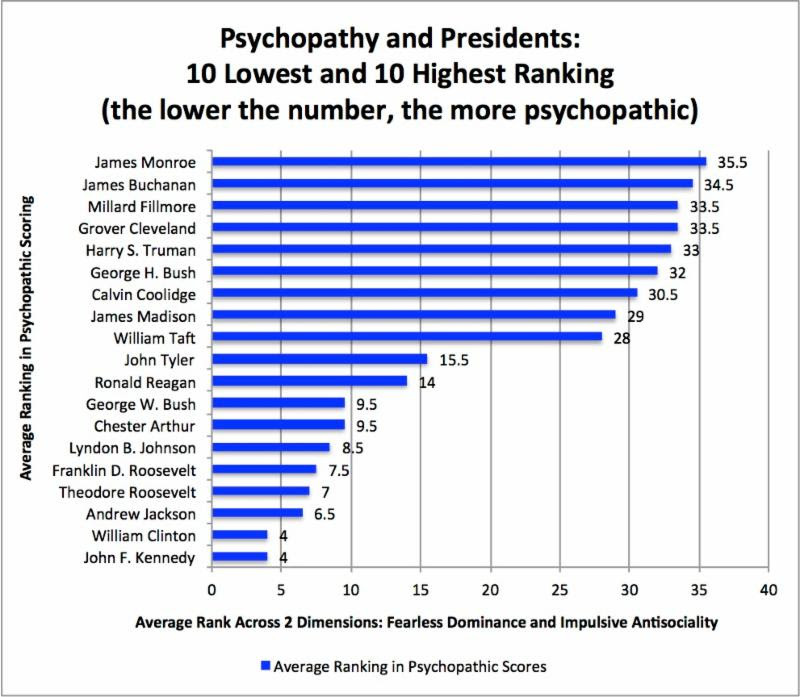 A team of psychologists collaborated with biographers of every president (up to George W. Bush) to determine their psychopathic scores. The result was an overall ranking list compiled on the aggregate ratings across two dimensions of the Psychopathic Personality Inventory (PPI): Fearless Dominance and Impulsive Antisociality. Fearless Dominance was associated with higher ratings of presidential performance, leadership, persuasiveness, crisis management, Congressional relations and related variables. Impulsive Antisociality traits were associated with negative indicators of job performance, including Congressional impeachment resolutions, tolerating unethical behavior in subordinates and unsavory character. A president’s final score is the average ranking of how he ranked across both PPI indicators. As an example, President Kennedy ranked second highest in Fearless Dominance and sixth highest in Impulsive Antisociality, resulting in an average rank of four. While the survey is assuming the upside of Fearless Dominance and downside of Impulsive Antisociality, in general, the lower the average rank, the more that president exhibited psychopathic tendencies. The chart shows the 10 lowest and 10 highest ranking presidents. Follow this link to see how the rest stack up (note: they are not always listed in sequential order). • Of the 3.0 million youth age 16 to 24 who graduated from high school between January and October 2015, about 2.1 million (69.2%) were enrolled in college in October. • For 2015 high school graduates, the college enrollment rate was 72.6% for young women and 65.8% for young men. 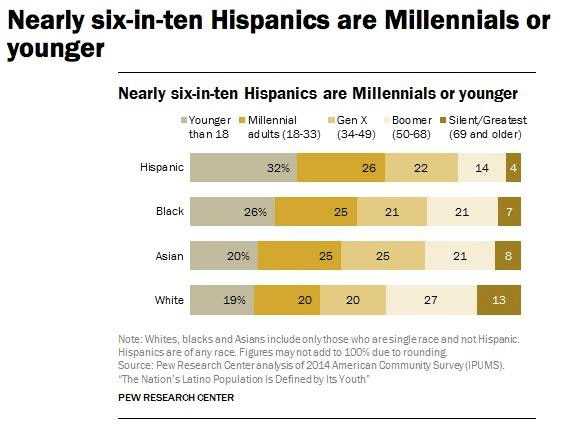 The college enrollment rate of recent Asian (83%) graduates was higher than for their White (71.1%), Hispanic (68.9%), and Black (54.6%) counterparts. • Among recent high school graduates enrolled in college in October 2015, about 9 in 10 were full-time students. Recent graduates enrolled as full-time students were about half as likely to be in the labor force (32.9%) as were their peers enrolled part time (69.3%). • Recent high school graduates not enrolled in college in the fall of 2015 were much more likely than enrolled graduates to be in the labor force (72.7% compared with 36%). The unemployment rate for recent high school graduates not enrolled in college was 20.7%, higher than the rate of 12.6% for recent graduates enrolled in college. A quick note: Many psychologists use the words psychopath and sociopath interchangeably. However, some make distinctions between the two, which you can read about here, but there is no official diagnostic difference. These skills can propel psychopaths up the corporate ladder and into leadership. While this can be of both a benefit to themselves and the company, they can leave much damage in their wake. How can companies protect themselves from destructive psychopaths? Read on. In his book The Psychopath Test, journalist and author Jon Ronson explores the fuzzy line between sanity and insanity. In this entertaining talk, he shares a story of a young man who feigns insanity to avoid a five-year prison sentence, but ends up in a mental institution for 12 years instead. In exploring his experience interviewing this man, Ronson discovered his own potential to behave like a psychopath. Is psychopathy less a black and white diagnosis, and more shades of gray in which we can all find ourselves under certain circumstances? But what about nurture? When Jim Fallon told his mother about his brain’s psychopathic structure, she told him to look into his father’s family history. Turns out, a great-grandfather, Thomas Cornell, was hanged in 1667 for murdering his mother. The Cornells went on to produce seven other murderers. The history of violence in his family and his brain scans forced him to reconsider his belief in genetic determination. What spared him from a life of violence? (He’d rather “beat someone in an argument than beat them up.”) To Fallon, who had a “terrific childhood,” one has to consider the role of nurture in keeping psychopathic tendencies from their worst manifestation. And one has to consider if already manifested psychopathic tendencies can be managed. Since seeing his brain scans, Fallon says he’s made effort to fake the empathy and concern his brain prohibits him from feeling for the sake of his relationships. Kevin Dutton, author of The Wisdom of Psychopaths, surveyed the personality traits, jobs and salaries of several professionals and found that clergymen, lawyers, surgeons (but not doctors in general), those in media and police officers, to name some, tend to rank higher on the psychopathic scale. (Click here for the overlap he sees between Buddhists and psychopaths.) Psychopaths are, he says, drawn to hierarchical careers that provide the opportunity to manipulate others and wield control. Dutton notes that psychopaths are apt to excel as surgeons and in armed forces; their ability to be cool and calculating under pressure provides an advantage. On page two of Dutton’s interview, he says anyone can train their “psychopath muscle.” Those who score low on the psychopath scale can often find themselves getting passed over for promotions or raises. How would a psychopath think about these things? They wouldn’t. They would just go for it, as they lack fear and are motivated by reward. Want a raise? Apply some “localized psychopathy.” Eschew concerns about how the request might make you look, focus on the reward, and just ask for it. Heroism: The bright side of psychopathy? Personality traits are contextual. Certain psychopathic traits make psychopaths more likely to put themselves in dangerous positions to help others. Their fearlessness enables a capacity to take risk, and their egocentrism is likely fed by the positive accolades and attention of helping others. Psychologist Paul Bloom explains how distracts and empathy blinds us from widespread problems and causes us to squander resources inefficiently. The net effect? Empathy “makes the world worse,” says Bloom. Watch the brief video for Bloom’s perspective, and read here for his preference for “cold-blooded, rational cost-benefit analysis” when it comes to determining how best to help those in need. 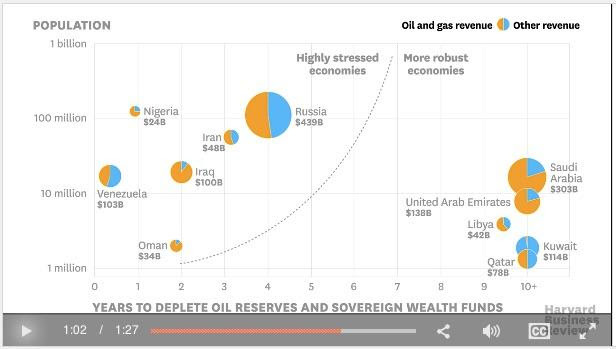 Harvard Business Review takes a brief look at which countries have been most damaged by the drop in oil prices and the immediacy with which each must deal with the consequent budget deficit issues. Still reeling from tax season? See who has it worse. 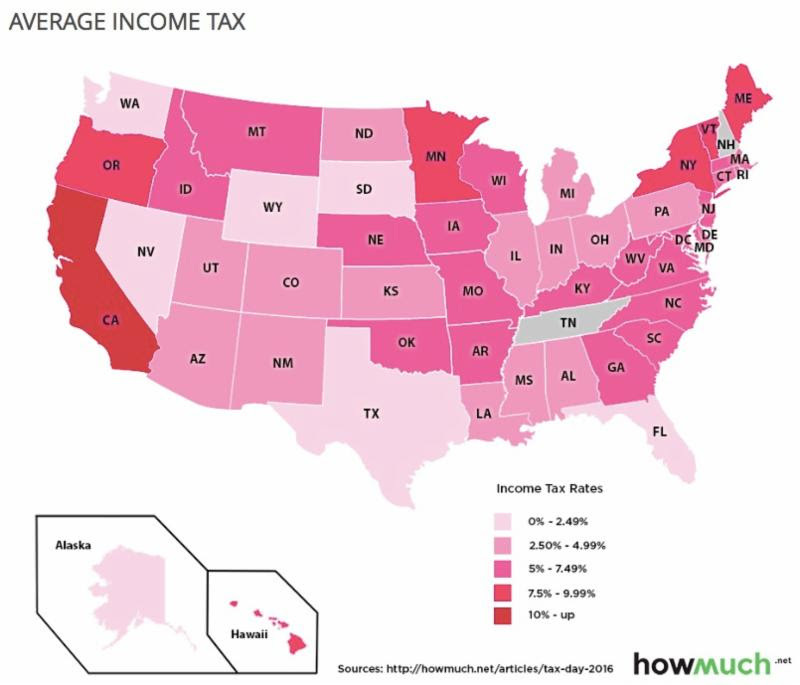 Follow the link for an additional chart that shows the income tax spread between the top 0.1% of and 50% of earners by state. 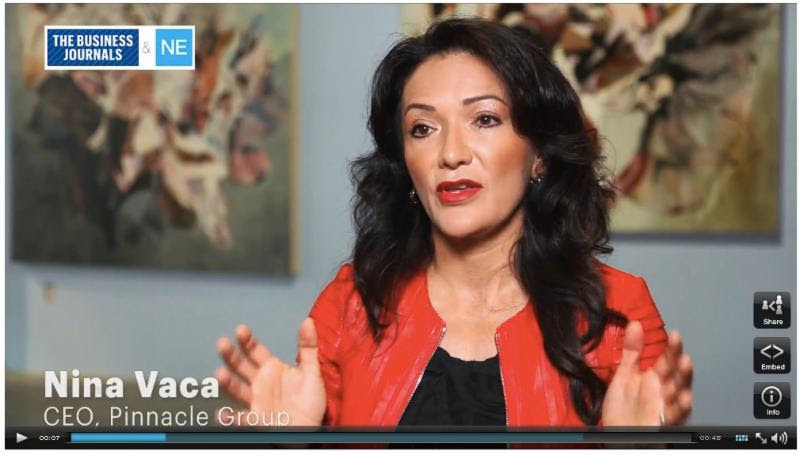 An immigrant from Ecuador, Nina Vaca founded the Pinnacle Group in 1996 with $300 and has grown it to $700 million in annual revenues. Watch for explanation of what she deems the most crucial quality in an effective leader: personal credibility. How can you expect things from your team that you’re unwilling to do yourself? Read on for a process to analyze your own behaviors and how your team’s perception of them might be holding you all back. With 4.5 million immigrants each, Texas and New York tie for the second largest immigrant populations in the country. 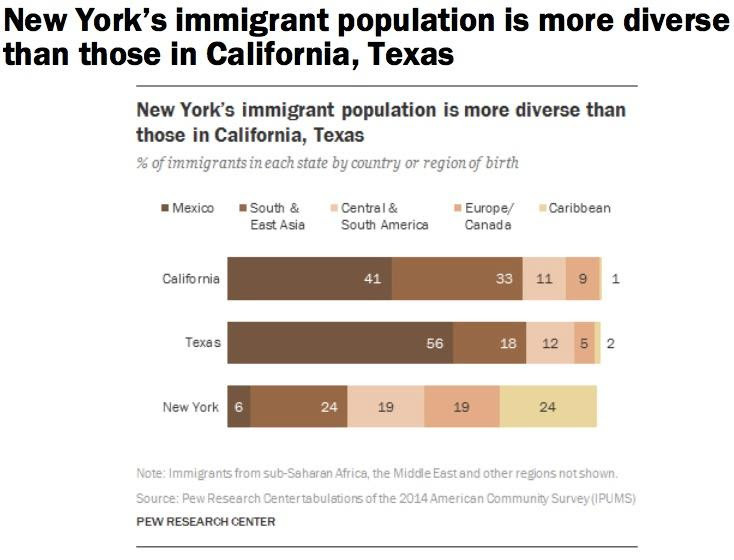 By 1980, California, with 10.5 million immigrants today, had surpassed New York to take the top spot. New York’s immigrant population remains the most diverse.